A field of management focused on aligning organizations with the wants and needs of customers (internal or external). It is a gestalt view of management that promotes business effectiveness and efficiency while striving for innovation, flexibility, and integration with technology. Business process management attempts to improve processes continuously. A document that contains the basic requirements of customer that are to be developed as software project cost schedule target dates. Applications in the R/3 System are combinations of components. 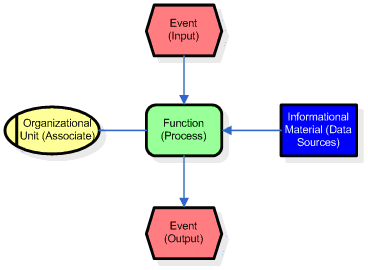 The components are held in a hierarchy, which can be displayed in the R/3 Reference Model, that describes the functional scope of the applications in a top-down fashion. The number of components and the number of levels an application has in the hierarchical structure depend on its functional scope. Process Flow View within the Business Navigator. Examples are Procurement, Logistics, Organization and Human Resources, and External Accounting. Also called Enterprise process area. may be accessed by drilldown from the scenarios and processes. An acronym for “Question, Data set, Analysis, and Report / Revision”, which are the four primary steps to any business analysis. A document that determines the needs or conditions to meet for a new or altered product, taking account of the possibly conflicting requirements of the various stakeholders, such as beneficiaries or users. A document detailing the functionality, interfaces, performance, attributes, and design constraints of a project. An acronym for a problem-solving strategy that “States the problem, Defines the Tools, Algorithm (procedure), Implement, and Revise,” which was developed by Andy Harris at IUPUI’s Computer Science department. These are are general steps that can be used to theoretically solve any problem. 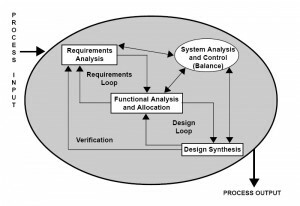 Methods for analyzing and converting business requirements into specifications and ultimately, computer programs, hardware configurations and related manual procedures. A rule is a rule of thumb in software code suggesting that arbitrary limits on the number of instances of a particular entity should not be allowed. Specifically, that an entity should either be forbidden entirely (zero), should be allowed once (one), or any number (infinity) should be allowed. Here are some examples of the zero or infinity rule.